Taking a vacation requires a great deal of planning and preparation. You have booked your hotel and planned for weather changes, but have you found an emergency dentist in Williamsville? Nothing will ruin a vacation quicker than an unexpected dental problem. Although no one ever expects to be in that situation, one in six Americans will have a dental emergency this year. If an emergency happens while traveling, you cannot wait until you get back home for an appointment. You need to see an emergency dentist right away. 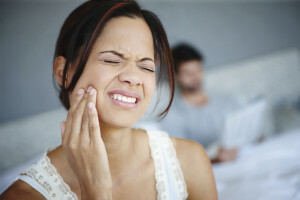 A dental emergency can take many forms and often happens without any warning. While on vacation, you may be tempted to wait until you get back home to see your dentist. In some cases, you may even try to treat the problem yourself. However, you do not want to delay care or treat the issue on your own. When facing a dental emergency, time is of the highest importance. The longer you delay care, the more extensive the damage will become. As a result, you will now need a more invasive procedure. In some cases, we may not be able to save the tooth from extraction if treatment took too long. Not to mention, you will likely be in a great deal of pain and discomfort, which will damper your vacation quickly. As soon as an emergency happens, you need to know the location of a dentist in the area. As an emergency dentist in Williamsville, we not only provide dental care for local families, but those who are visiting the area as well. We provide same-day care to treat a wide range of emergencies, such as a knocked-out tooth, broken tooth, lost restoration, or an abscessed tooth. While you are making your arrangements for your vacation, take the time to find an emergency dentist in the area. Look for a dentist who offers same-day appointments while also being open to new patients. Although you cannot fully prepare for a dental emergency, there are some things you can do to lessen the risk for one occuring while on vacation. Prior to leaving, schedule a checkup with your dentist. The allows for the detection of potential problem areas, such as a loose restoration or an untreated cavity. The dentist can treat these issues before you leave to ensure they do not cause a problem on your vacation. After your appointment, gather your important dental information, including your dentist’s contact information and pertinent dental records. This will allow the emergency dentist to have a little bit of background regarding your dental health when accessing the situation for treatment. You will want to avoid factors that can lead to an emergency while you are traveling. For example, avoid chewing on ice, which can cause a tooth to break. If you plan to play sports, be sure to bring your athletic mouthguard to help reduce injury to the mouth if trauma occurs. If you are leaving for vacation, do not forget to plan for a dental emergency. If you need emergency dentistry while in Williamsville, contact Amherst Dental Group today.